This is our lovely reading garden! Here is our Charlie and the Chocolate Factory role play area! Have you read any of his books? Write a review and it could appear on our class page! 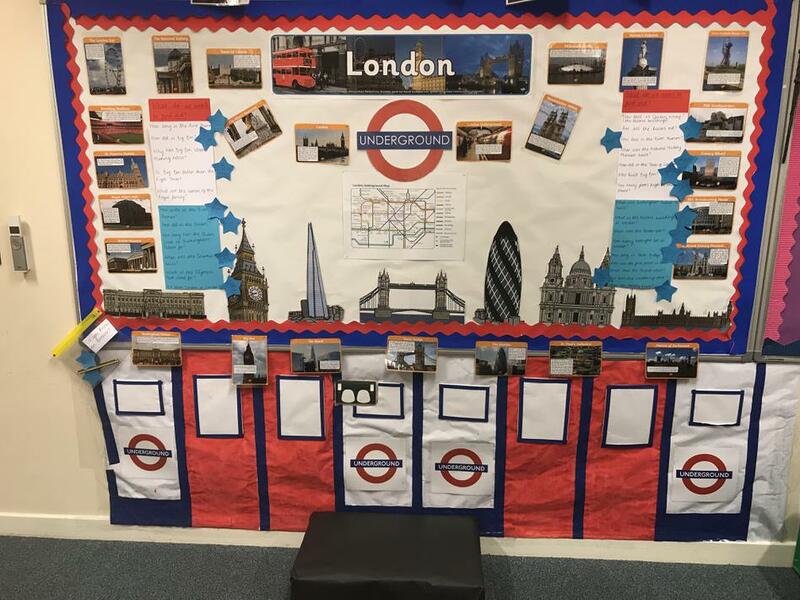 Our London display and role-play area are continuously developing. Do you know the answer to any of our questions relating to London? There are 12 weeks this term. I know something about Shrove Tuesday. I can create a costume for World Book Day (one of my favourite books). I can make an Easter bonnet. I know something about castles. I know something about space. I know something about a sports personality. I know something about the Royal Family. I know something about London Monuments. I know something about transport in London.